Instagram has had a very busy year so far. However, even the most jaded of industry analysts would agree that the past few months have been particularly industrious. A lot has gone on, and some of the stuff that really matters to brands may well have slipped your attention. It’s not your fault, it’s a busy platform. 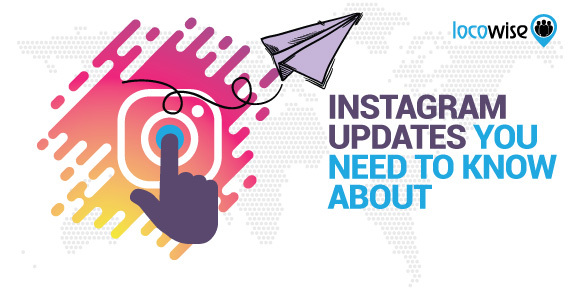 But we thought we’d take a look at the updates that have happened so far that are really crucial for any brand that uses Instagram to engage. That’s right, this year saw another change in the Instagram algorithm. At first, people saw it as being a kind of baby step. There wasn’t much happening on the surface. And this was fine. Then brands started to realise that there was more to the latest holistic change than they thought. 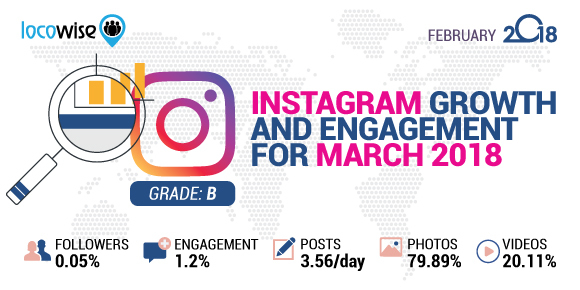 In March Instagram announced the changes and offered users the opportunity to ‘gain more control’ over their feeds as well as see stuff that was more relevant and timely. The platform has basically made sure that the ‘timeliness’ of posts is important. And when it comes to your social media marketing, this should be your first concern. One way to deal with this is to literally post every minute of the day, so you are always ‘news’ as a brand. Of course, that isn’t something that anyone would welcome. Instead, the new change means that brands that are fully aware of the best times to post on their feed for their specific audience are the brands that will succeed. This is vitally important, so if you’re not giving this your full attention, you’d better. You need to post when your audience is awake and focused on the platform. Get your metrics right and this should not prove to be a problem for you. However, the change also means that the newest and freshest content will go to the top of the feeds. So frequency is also an issue. You will need to post more on Instagram, there is no way around it. Even if you came up with the very best post you’ve ever created, if it finally shows up a day later on your audience’s feeds (because that is the current engagement you have), it’s going to be down the list. Post more often and you’ll have a better chance of getting to the top. The good news around all of this (there is good news) is that timeliness actually makes it a lot easier for the platform to be viewed as a fairer place. Brands will be competing for the same audience engagement because everyone has to be timely, not just you. If you’re creating good content you’re in the running for the most attention. If you’re also doing it more often, you’re in the running for more attention. And that applies to every single person or company that is trying to get attention. This stuff is very new, but already it is proving to be an area that has immense potential for brands. Topic channels are a step towards Instagram becoming a search engine on a massive scale. 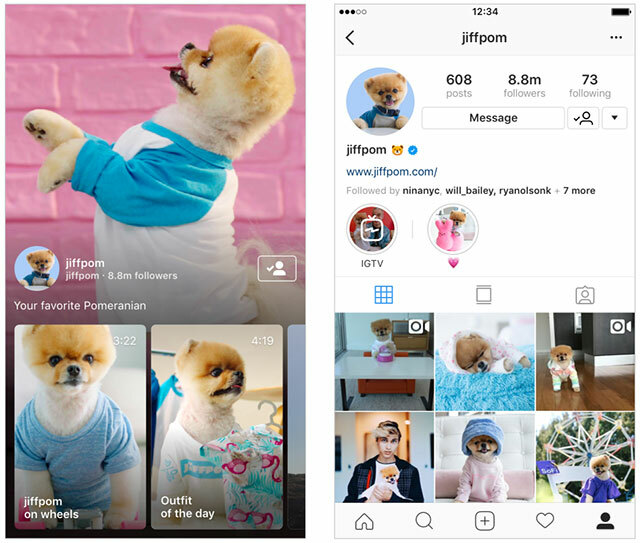 The idea is that Instagram will show users a set of topic areas at the top of the ‘Explore’ feed. These topic areas, importantly, are based on the preferences of the user, so if you like movies and movie stars, topics that might come up are ‘entertainment’ and ‘celebrity gossip’. Firstly, this obviously gives brands more chance of being seen in Explore, so if you’re working hard on Instagram, you’ve automatically gained more reach. But even more excitingly, the new Topic Channels also have suggested hashtags underneath them. We can’t stress how important it is to be on top of your hashtag strategy on Instagram right now. Go, get on top of it. Another small update that has already proven to be incredibly powerful for social media marketers, direct messaging video chat is as simple as it sounds. If you are in a direct message session with someone, you can quickly open up a video chat. It’s easy, and it literally takes one click. This is powerful because it allows for that instant reaching out to a customer that you may well need if you have a problem to solve for them. Or you may have a customer that has asked about a product or service and you want to show you’re real and concerned about their satisfaction with video chat. Most importantly it’s private, which makes it a very effective way of giving customers your undivided attention. The biggie, and the one change that could go some way towards revolutionising how brands connect with customers. This is perhaps one of the most exciting changes on any platform for some time. It sounds rather simple when you first hear about it, but the potential is huge. Basically, you’re now able, with the app (available on iOS and Android) to create longer videos. This means a video can be longer than 60 seconds. You could record a video that lasts an hour and then add it to IGTV for example. That alone makes it a powerful option. However, what makes this bigger and better news for businesses is that you can create your own IGTV channels. These Channels are based on the creators themselves. So when you create content, you create a channel. All it takes is for engagement to be at a stage where people follow your channel, and you have a super powerful tool. The video is vertical, so it works for phones. It’s perfectly tailored for the generation that is viewing much of its content on phones. And it’s still new. So brands who use it now will be well-established when it starts to peak. Updates are updates, and it’s fair to say that not every update on every social media platform is a worthy one. However, we feel that the development of IGTV, for one, gives you a new metric to track. If you are able to set up a series on IGTV that followers can watch on a regular basis, it’s a new outlet and option for engagement. And when it comes to Topic Channels, this will reward brands that are able to use hashtags effectively. If your hashtag work is solid, and you’ve researched it and it’s a valid part of your strategy, there’s another thing to track. Social media is complex, but when a platform brings out changes like these, it’s exciting too. Your brand could be an early adopter on IGTV, for example. Imagine that. If you would like the metrics you need, when you need them, try Locowise for free. We will give you a whole week free, so you can get a flavour of what it’s like to be in total control of your social.